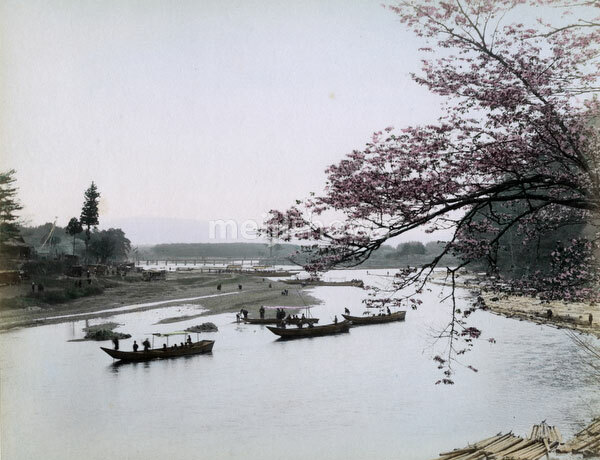 Blossoming cherry trees along the Hozugawa River (保津川) in Arashiyama (嵐山), Kyoto. There are logs and boats that were carried down the rapids. Togetsukyo Bridge (渡月橋) is visible in the background.